Why do you judge me as a musician, John? All I’m interested in is making money. I thought I had swell ideas, and wonderful musicians, but the hell of it, no one else did. I haven’t a great jazz band, and I don’t want one. By giving the public a rich and full melody, distinctly arranged and well played, all the time creating new tone colors and patterns, I feel we have a better chance of being successful. I want a kick to my band, but I don’t want the rhythm to hog the spotlight. Alton Glenn Miller was born in Clarinda, Iowa, USA. He was an American composer, bandleader, music arranger, army major, and trombonist. He was the best-selling recording artist from 1939 to 1943, leading one of the best known big bands. Miller's recordings include "In the Mood", "Moonlight Serenade", "Pennsylvania 6-5000", "Chattanooga Choo Choo", "A String of Pearls", "At Last", " Kalamazoo", "American Patrol", "Tuxedo Junction", "Elmer's Tune", and "Little Brown Jug". 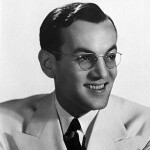 While he was traveling to entertain U.S. troops in France during World War II, Glenn Miller's aircraft disappeared in bad weather over the English Channel. His albums list shown below: The Best Of Glenn Miller, Platinum Glenn Miller, The Real Glenn Miller, Glenn Miller Sound, Jingle Bells, Day Dreaming, Over The Rainbow, and Miller Makes It Happen.